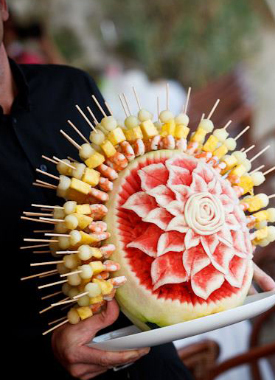 One Catering is not just one catering company in Calahonda. We are much more than that, we are a wide-spanning network made from a team of professional caterers, suppliers, event planners, consultants, transport companies, lighting and sound experts, information technology experts, legal and financial advisors as well as event-planners who collectively have been working the Costa del Sol's largest and most successful events since 2001. We offer a wide range of catering services and additional services ranging from personal chef catering of a romantic dinner for two to wedding catering (and planning) for groups of over 500 people. There is no event that is too big or too small for One Catering in Calahonda. We also provide a 100% free, no-comittment quotation for your catering needs.